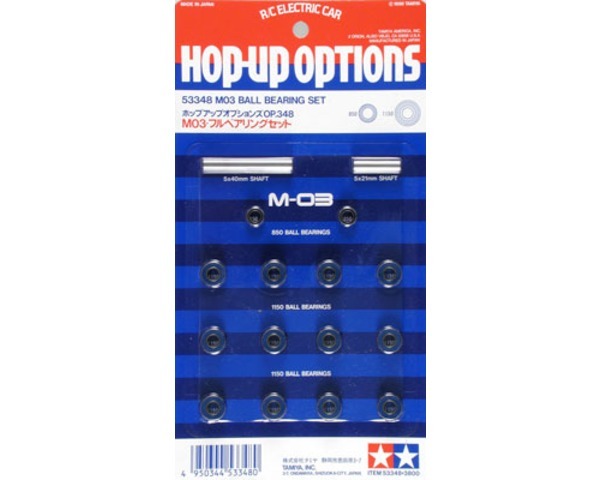 This is a Full Bearing Set by Tamiya. Ball Bearings help to Reduce Friction on your car kit. The Factory Number is 53348. Per Package.